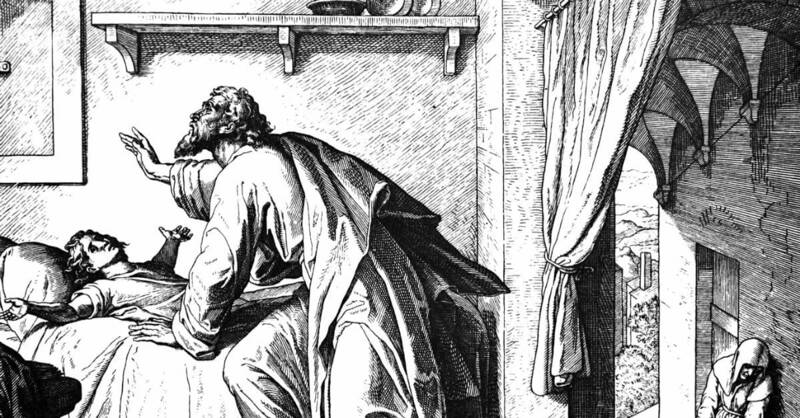 Who Was Elijah & Why Is His Bible Story Still Important Today? His name means “The LORD is my God.” The message of his life matched his name. It still does today. Not only do we see evidence of this man threaded throughout portions of the Old Testament, but we also find mention of him sprinkled in the New Testament as well. His name? Elijah. So who was Elijah? What did he accomplish? As a person, what was he like? How did his faith intertwine with his everyday living? And how does he impact us? Let’s take a look at fifteen attributes of Elijah and see how this man of faith encourages us in our own faith today. Elijah’s message and the meaning of his name go together like a fresh glass of milk and warm cookies. He walked, talked, and encouraged others to believe that truly the Lord was God—just as his name purported. As a prophet he adamantly shared God’s message and warnings. Often, both came under fire. Sometimes, however, people turned from following false gods and found themselves deep in worship of the Holy One. Time after time in Scripture we see folks leaning their ear toward the Almighty. Include Elijah on this list. Call him a man who heard God. Peppered throughout 1 Kings 17- 22 as well as in 2 Kings 1 & 2, we see instances of Elijah leaning his ear. Multiple times God directed Elijah to speak hard truths, trust for provision when circumstances appeared bleak, or stand firm in faith of God’s promises being fulfilled. Time and time again, Elijah set the example of loyal obedience to God our Father. God’s provision displayed powerfully and beautifully in the life of Elijah. These instances and others can easily turn our eyes toward our Father’s love, healing, wisdom, and provision as well. We see Elijah in communion with God many times throughout the Old Testament. He sets an example for us in our own walk of faith. He stands as a voice encouraging all to grab prayer and be a warrior, to know the LORD is God and follow him. We see miracles threaded throughout Elijah’s ministry. He stood as a man who trusted God, one who anticipated God fulfilling his promise. In the process, we also see miracles. A bull offering doused in water, enough to overflow and fill the surrounding trench, proved no match for the fire of God. I’d consider that a miracle at the hands of God Almighty. The message Elijah championed rang clear and seemingly easy, but not everyone wanted to hear its contents. Jezebel stood at the front of that line. She sought out and put prophets of God to death. Meanwhile, her husband, King Ahab, allowed it and simply continued worshiping Baal. An unwelcomed message, however, didn’t deter Elijah. He bravely championed God Almighty and the messages given from Above, even when those messages offered challenges, correction, or bad news for the one receiving them. Jezebel coaxed her husband, King Ahab, into Baal worship versus God worship. Ahab did evil in the eyes of the Lord, forsaking the Lord’s commandments. It was an ugly scene in Israel. Enter Elijah. God sent him to offer hard words, to bring accountability and warning where both proved due, and to champion belief in the Almighty. Follow the thread as he confronts Ahab then challenges followers of Baal with water, an offering, and fire—all noted in 1 Kings 18. Many times Elijah found himself in the midst of a seemingly dimming situation. But he held belief. When promised rain remained absent, Elijah held belief, sending his servant to check the horizon seven times. Just as God promised, it rained. God’s promises remain true for us today. At times, it’s easy to hold a perception that folks like David, Moses, and Paul loom larger-than-life. But they struggled with emotions, evidenced in the Bible. Elijah wrestled as well. His life rang authentic. The man who stood in solid obedience and courage also ran in fear. Throughout 1 Kings 19 we see Elijah grappling amid the battle with fear. But we also see God. As Elijah turns focus to the LORD, the scene changes. The fear clawing and scratching at Elijah dissolves. So yes, Elijah ran in fear, but he also found courage through God. When I read 1 Kings 19’s account of Elijah fleeing from the clutches of evil Jezebel, I breathe a sigh of relief. The sigh isn’t birthed by the fact that Elijah fled or that Jezebel tossed her evil threats his way. (After all, who takes kindly to threats of murder? Yikes!) The sigh rises from yet another realization that Elijah was a real person facing authentic, human emotions. Discouragement is or has been a battle for many of us. Reading Elijah’s account reassures we’re not alone. Even a prophet, a strong man of faith, faced its torrent. But the waters of discouragement failed to overtake him. Our man of faith found God’s direction, provision, and correction. He found strength to squelch and overcome discouragement. How easy it is to view life through the lens of human vision. We often see situations as they appear, not how they can be, or we simply make assumptions based on circumstances. Elijah proved no different. A small vision, focus of the human kind, assured he was the only follower of God left, that everyone else had fallen into worship of the false god, Baal. That proved far from the truth. In 1 King’s 19:18, we see mention of 7,000 Israelites who refused to bow a knee to Baal. Elijah wasn’t alone as he supposed. We can trust the vision of our heavenly Father. One moment Elijah walked this earth, the next he was taken up into heaven. Elisha, his successor, watched it unfold. I often wonder what emotions Elisha encountered at that moment. When Elijah departed earth, a legacy remained. Elisha, the prophet mentioned earlier, clung to Elijah. He received a double portion as a result of being present when Elijah departed. Elisha went on to champion the message of following God Almighty and no other. Elijah’s legacy continued. Imagine the view: Elijah standing alongside Moses, the two conversing with Jesus. A hushed holiness washes straight over me whenever I consider it. Elijah didn’t have to imagine. Peter, John, and James witnessed this spiritual wonder. Jesus was about to experience the jeers of many, the pain of crucifixion. The three together, Moses, Elijah, and Jesus, represented fulfillment of the promise of salvation. Moses symbolized the law. Elijah represented the prophets, the restoration of all things. And we know that Jesus fulfilled the promise of salvation beautifully. These are a few attributes of the man we know as Elijah. For a more thorough view of the prophet, we can read through 1 Kings 17-22, 2 Kings 1-2, Malachi 4:5-6, Matthew 17:1-13, John 1:21, and James 5:17. Then, when someone asks us, “Who was Elijah?” we’ll have an answer straight from the Bible. NEXT: What Does the Bible Say about Love?